GET READY FOR SUMMER WITH MY DAY CAMP PICKS! Hello dear GISH PICKS: CURATED CULTURE FOR KIDS & ADULTS reader! We made it through spring break and the sun is FINALLY peeking out of the clouds (in fact, as I write this, it’s a perfect NO CLOUD day!). I know you want to take a break, but don’t rest up too much because summer is around the corner. There’s lotsa fun ahead, but you’ll need to start planning your kids’ day camps now. Don't worry! I can help you. Check out my guide, DAY CAMPS HOUSTON, the LARGEST and MOST ACCURATE database in the city! I’ve been researching summer day camps since 2003 and love finding cool camps for kids. I’m all about IGNITING LIVES (see why here) and exploring interests through summer camps are a great way to do that. Searching for camps is super easy: you can find camps by age group, area of town, subject matter, and much more! And, of course, you can search from anywhere – the carpool line, at work (shhh! ), and while at the beach. It’s my online guide to getting your kids offline. Happy searching – may you find much fun for you and your kids! 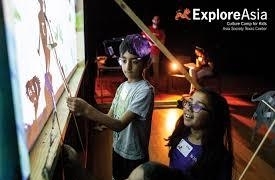 Summer 2019 at Asia Society Texas Center will feature five weeks of ExploreAsia summer camps and three weeks of the Young Leaders Institute for high school students (specific dates listed above). In the ExploreAsia Culture Camp for Kids, students embark on hands-on programs delving into Asian traditions, art, and culture. Topics for this year include “Manga Pop!” and “Amazing Asian Eats.” YLI is a week-long program designed to prepare high school students for leadership in a globally interconnected society. This summer's topics are U.S.–China Relations, the Middle East, and Energy and Security. Applications are due May 17; it is free to apply. 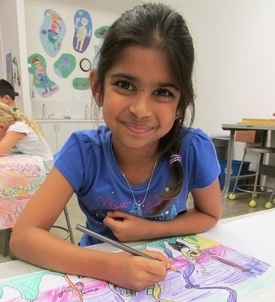 City ArtWorks Summer Art Camp offers 9 one-week long sessions of age-appropriate art classes held at the City ArtWorks studio. Each week there is a new curriculum designed to keep young artists motivated! Classes may include sculpture, printmaking, drawing, painting, mixed media, or other visual art mediums. Most classes are available in 2-hour blocks throughout the day and you can add lunch or an extra class as desired. 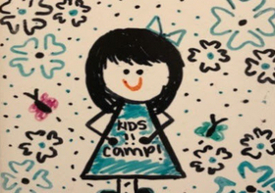 Kids Camp at The Council provides education and support for girls and boys ages 7-12 to help them stay healthy and safe when their parent has alcoholism or other drug addiction. Children from homes where there’s addiction face conflict, unpredictable behavior, and broken promises. Rather than feel safe and protected at home, kids incorrectly believe they are the cause of the problems. The Kids Camp at The Council has helped hundreds of kids and families cope with the difficulties and challenges of addiction. No family is ever turned away due to inability to pay. Start planning for summer at the Glassell School of Art! 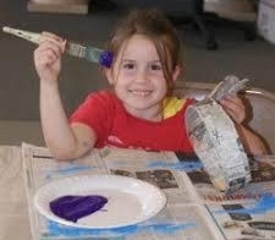 The Junior School offers classes and workshops for ages 4 to 18. Choose from drawing, painting, digital art, fashion, cartooning, and more. Week-long courses and an extended-day program are available. Registration for new students began March 14. Classes start June 3. Click here for more information and here for the 2019 course catalog. This summer, Houston Center for Contemporary Craft presents five, week-long craft camps for kids between the ages of 5 and 12. 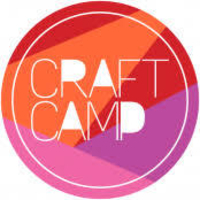 Craft Camp is designed to encourage creativity, experimentation, and self-expression, while introducing kids to a variety of craft materials and processes. Campers will practice critical thinking skills through conversations with teaching artists and learn how to look at and talk about works of art. Through individual and group projects in the galleries and Craft Garden, kids will work with materials such as clay, fiber, and metal. Yorkshire Academy’s Summer Program offers a wide array of weekly camp options for 24 months–6th grade. Offerings include: academics, over 50 enrichment camps, and theme-based camps with flexibility for half day, full day, or full time care. Some choices include: engineering, yoga, robotics, golf, writing, coding, art, Junior Athletes, chess, cricket, theatre, volleyball, and so much more. This is a great choice for families with various ages because there are engaging options for everybody.